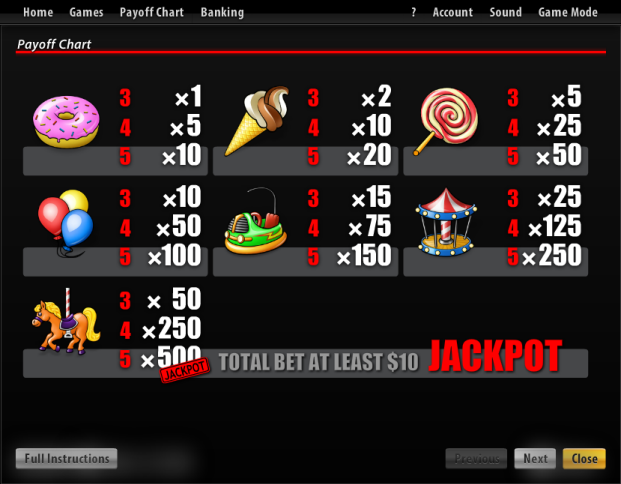 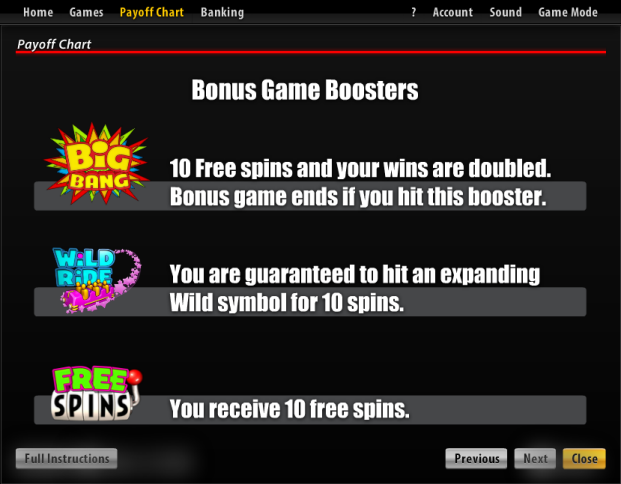 Overview: Carnival�is a video slot with 5 reels and 19 paylines. 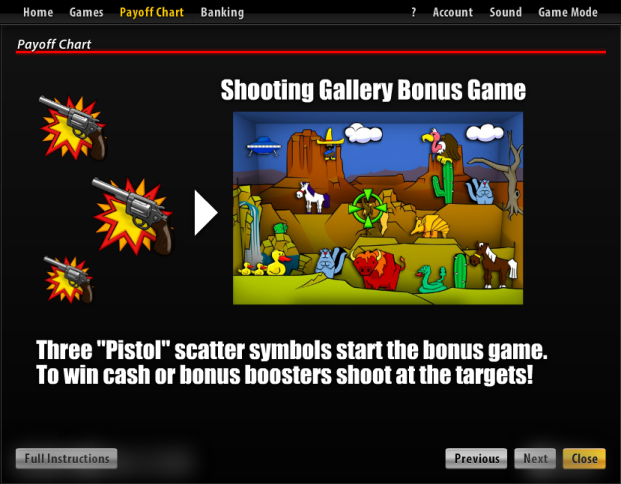 If you hit at least three Pistol scatter symbols anywhere on the reels, you enter the shooting gallery bonus game where you can win cash bonuses, free spins, spins with an expanding wild symbol or free spins with doubled wins. 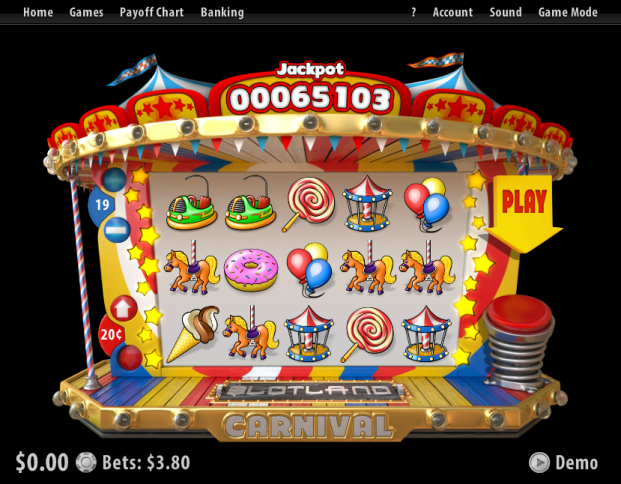 Similar Slots: If you like Carnival, you might like these other slot machines from Slotland: Golden 8, Slotris, Super Sevens, Treasure Box.